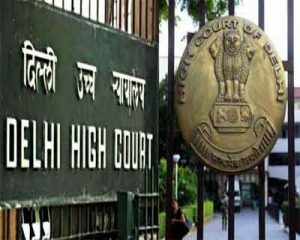 New Delhi: The Delhi High Court has asked several public sector insurance firms whether any insurance policy was being offered to people afflicted with HIV-AIDS. The court’s query came during the hearing of a petition seeking inclusion of HIV positive and AIDS-afflicted people in life and health insurance policies with all consequential benefits. A bench of Acting Chief Justice Gita Mittal and Justice C Hari Shankar directed the PSU insurance firms to forthwith take a stand and comply with the guidelines of Insurance Regulatory and Development Authority (IRDA). “Inform this court about your (insurance firms) stand on making available insurance services to people afflicted with HIV and AIDS” the bench said and asked them to file an affidavit and listed the matter for January 22 next year. The counsel for the central government drew the court’s attention to the HIV and AIDS (Prevention and Control) Act, which mandates equality of people and prohibits any discrimination against people suffering from HIV or AIDS. During the hearing, the counsel for the state-owned insurance companies submitted that the issue was under consideration and they required time but were ready to follow the guidelines of the IRDA. The court had earlier issued notice to and sought the response of the Ministry of Health, public sector insurance companies and IRDA to the PIL, which also alleged discrimination against people living with HIV and AIDS (PLHAs). The petition by Rajeev Sharma has alleged that there was no “effective progress and implementation of any insurance policies for the benefit of PLHAs”. The court has tagged the matter with another similar pending petition which has the grievance of non-availability of the facility of insurance for children born with congenital or birth defects. Sharma had contended that the Centre had in 2013 said that by April 1, 2014, insurance cover would be available to all PLHAs, but nothing has happened. The plea has also said the IRDA had issued an exposure draft in 2012 instructing insurance companies to include PLHAs under medical insurance cover. In October 2013, IRDA had asked all insurance companies “to put in place, by April 1, 2014, Board-approved underwriting policy to include all PLHAs with regard to life and health insurance,” the petition had stated. It had claimed that 100 lives were lost each day to these diseases due to “unaffordable medical care” and alleged that PLHAs were “being neglected and discriminated against” as not even simple accident benefit cover is provided to them. It had alleged that various government health schemes for the underprivileged and disadvantaged groups of society “make no mention of coverage to PLHAs”.